Fear. The idea that there was an ‘enemy within’ led Canada to create internment camps during the First World War — mainly for Ukrainian and German communities. As part of the focus on the WWI’s centennial this year, a new archival photographic exhibit opens this week at the Canadian War Museum. 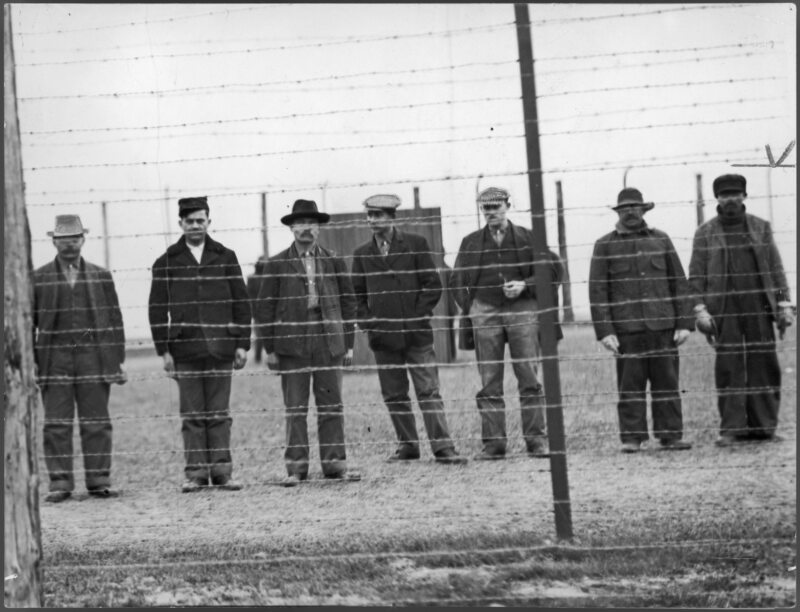 Enemy Aliens — Internment in Canada 1914-1920. The exhibit explores who the approximately 8,500 prisoners were, what conditions were like, how the camps were run, and what the prisoners did daily. The exhibit opens on Thursday, Oct. 2, and runs until 2015. Canadian War Museum, 1 Vimy Pl. 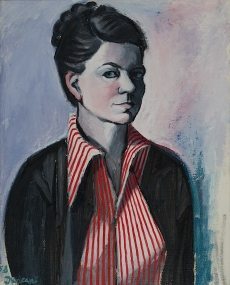 Full disclosure — the new exhibit, The Life and Art of Alma Duncan (1917-2004), opening Thursday, Oct. 2 at the Ottawa Art Gallery is co-curated by my wife. Who is Alma? As Catherine Sinclair writes, the Ottawa-based artist “travelled the world recording the beauties of the land and the stories of her models, transcending the lines between modern interpreter and visual activist.” From painting to drawing, to puppetry and filmmaking (she worked for a time at the NFB), the exhibit presents an all-encompassing look at this fascinating artist, who made such a stamp on the Ottawa art scene, as well as in Canada. The vernissage starts at 5:30 p.m. (I’ll be there, of course.) The exhibit runs until 2015. Ottawa Art Gallery, 2 Daly Ave. The second art exhibit at the Carleton University Art Gallery is actually fourfold — the first, Not a New World, Just an Old Trick, beckons viewers to enter a large-scale model of an imaginary building. The rough tiered structure “connotes an idea of the art gallery or museum,” and to that end, the artist, Samuel Roy-Bois, has selected 90 artworks from the gallery’s collection to complete the illusion. It opens alongside an exhibit by Raymond Boisjoly — Interlocutions — whose video projections create commentary around Indigenous literary traditions. His exhibit accompanies a selection of Northwest Coast graphic art from the MacDonald Collection. Inuit printmaking is also featured in Norman Vorano’s exhibition: Inuit Prints — Japanese Inspiration, which examines that islands’ influence on the development of printmaking in Cape Dorset. All four continue to show until Dec. 2014. Want to experience ‘total theatre’? This is what Peking Opera is referred to since it is a “complete synthesis of, and harmonization of, singing, acting, recitation and dancing.” This form of theatre — recognized, by the way, as an UNESCO intangible cultural heritage — also allows for a certain degree of personalization: the artist is free to adapt basic conventions to suit their own personal style/artistic talent. On Saturday, Oct. 4 there will be a matinee performance of three celebrated Peking Opera excerpts (including one by the renowned Madame Sun Mingzu, who’ll be performing Princess Shuangyang) at the University of Ottawa. The cost of this unique presentation is $15 adv., $20 at the door. Purchase adv. tickets here. The performance begins at 3 p.m.